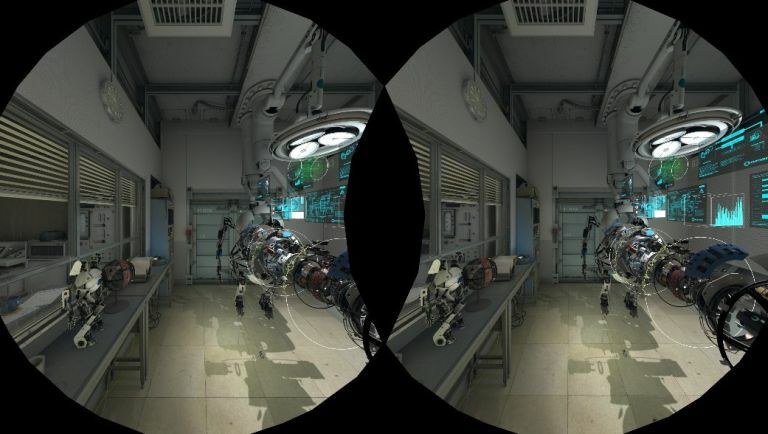 In order to check if your current PC is capable of supporting a virtual reality headset, Steam and Half-Life creator Valve has designed a new benchmark test. Of course, this being Valve, said program is no ordinary exercise - mainly because it's checking very specific specifications and because it's set in the Aperture Labs of the Portal videogame series. With Oculus Rift and HTC Vive (complete with its $799 price tag) set for release in the next few months, tests such as this one from Valve are going to become pretty commonplace as PC users start preparing for the arrival of two of the three biggest VR headsets on the calendar. "After collecting the data it determines whether your system is capable of running VR content at 90fps and whether VR content can tune the visual fidelity up to the recommended level," says Valve on official Stream forum. "For machines that are not VR Ready the tool can help determine whether capabilities are bound by Graphics Card, CPU, or both." If you're looking to give your rig the VR once-over, then you'll fund the SteamVR Performance Test below. Of course, if you're PC doesn't have what it takes, there's always Samsung's Gear VR or Sony's PlayStation VR - both of which run of a smartphone and a PS4, respectively.